Qualifying for a home mortgage is easier using two incomes. Home mortgage lenders look for couples with regular income and the ability to meet monthly payments. When one spouse has bad credit, it makes a home loan harder to find. If you're part of a credit-challenged couple, don't despair that you'll never be able to buy your own home. It takes a major effort, but it is possible to obtain a mortgage loan. It doesn't matter how much money you and your spouse have in the bank, your monthly-earned income must be enough to make the mortgage payments. 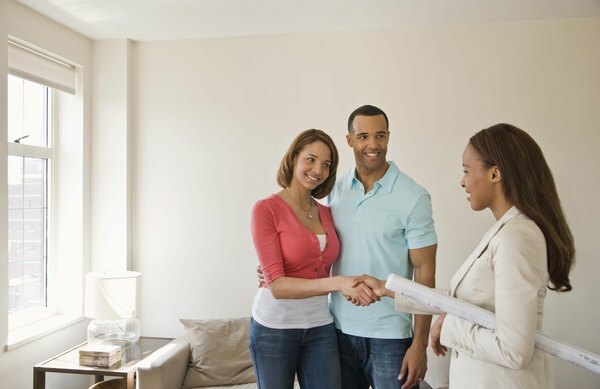 Putting a huge amount of money into the house or condo down payment is one way for couples with one partner with credit dings to come up with an interested lender. Down payments range from no down to 20 percent, but couples with credit problems can offer more -- enough for the lender to feel comfortable about getting the house back, should the lender need to foreclose. 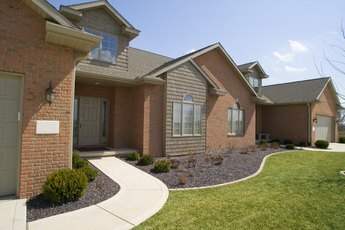 This amount might require up to 50 percent of the home's value. Paying on this smaller mortgage for several years allows you show your credit worthiness as a couple. Cleaning up bad credit takes time and major effort. Removing errors and small dings make the report somewhat better for lenders, but when the credit report is an absolute wreck, this won't help with an immediate loan. A bad report includes a few late pays on revolving credit and several unpaid accounts. The disaster credit report includes accounts closed by creditors and a bankruptcy. Repairing this account takes several years to re-establish responsible credit use. Using a new credit card responsibly is the first step to rebuild the spouse's credit report, but bankruptcies stay on credit reports for at least seven years under most state laws. 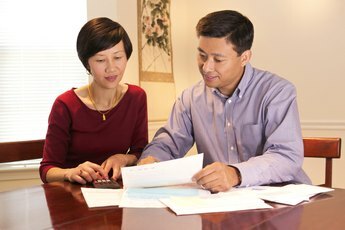 You're a married couple, but under the credit laws, banks must consider each spouse for separate mortgage loans. If the spouse with the good credit record also earns enough each month to cover the mortgage payments, this spouse can buy the house as a married person holding the property as the "sole and separate property." If you're intent on keeping the names of both spouses on the property deed, shop for a lender willing to take on your loan. This is more challenging, but there are private lenders who love to loan money at high interest rates. These lenders charge a sliding scale for "difficult-qualifying" mortgages, and depending on the degree of credit report damage, you may end up paying an arm and a leg for the mortgage. Find private lenders using a local loan broker. There is one advantage to this loan. Once you have the mortgage and show a responsible payment pattern, it's then possible to refinance your mortgage at a better interest rate from a mainstream bank lender. AARP: Can Bad Debts Really Be Wiped From My Credit Report? Does Being Married Help With Getting a Mortgage? Can an Owner-Financed Mortgage Be Reported on Your Credit Report? Can I Be a Co-applicant on a Mortgage Without My Credit Being Run? 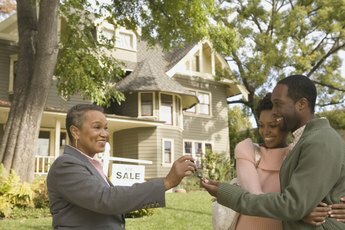 Can I Still Get a Mortgage if I Co-Sign for Someone? Can I Include Spousal Income If the Mortgage Is in My Name Only?